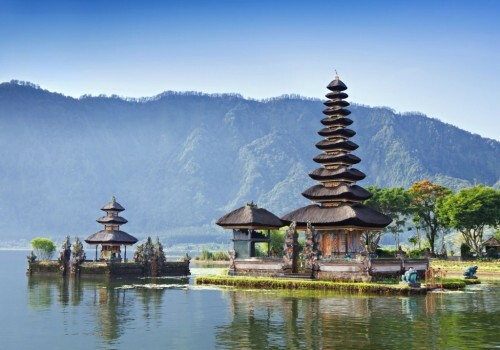 Cheap flights to Indonesia: Jakarta for only €368! Saudia now offers cheap flights to Indonesia from Switzerland. 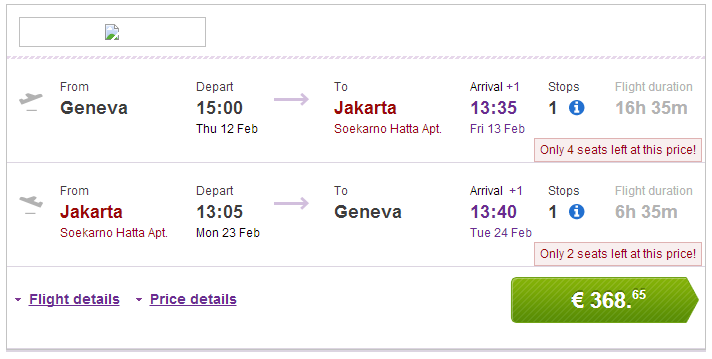 Return flights from Geneva to Jakarta will cost you only €368! There is 1 stopover and 2x 23 kg luggage is included in the ticket. Regular price of the ticket to Jakarta is around €600 from Europe! Travel dates are from January to April. Book your ticket through Vayama to get this great price! « WOW! Cheap flights to Borneo: Kota Kinabalu for only €469!